2. Tell us about your tiny house. 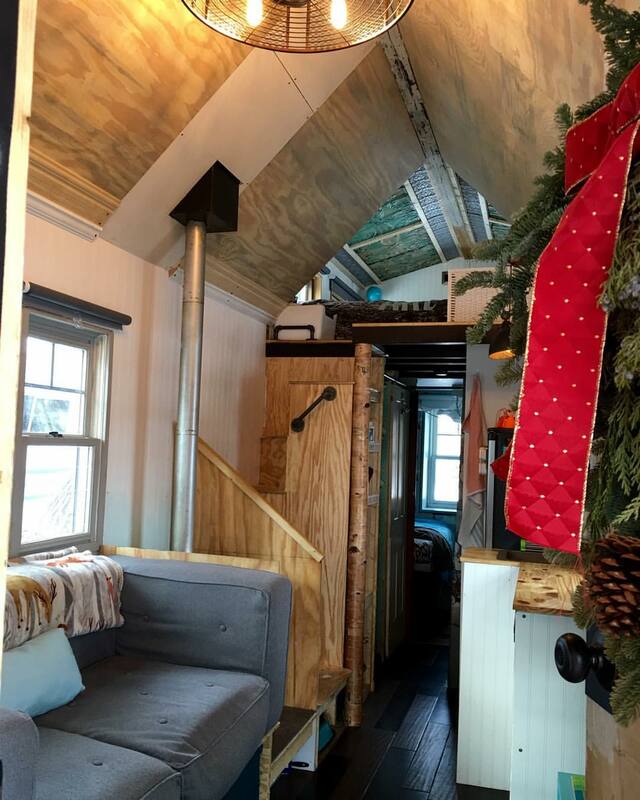 Meg and Brand have two photo galleries of their tiny house on TinyHouse43.com. View photos here. 3. How many sleeping areas do you have? Two, though we’re adding a flip-up piece on the sofa base end to allow it to convert to a single bed for guests or for me if I’m lucky enough to get pregnant again and can’t navigate the stairs. 4. How did you build in privacy for yourself and your son? 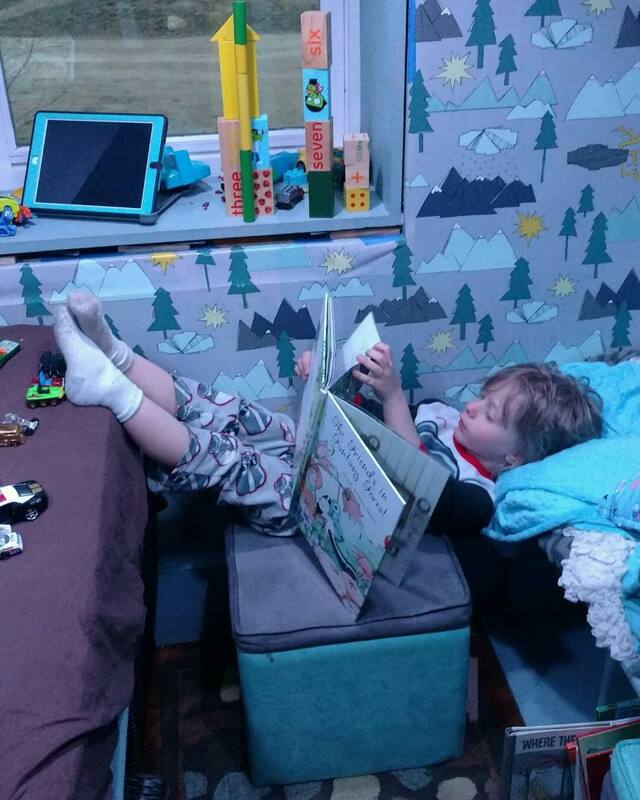 We wanted to make sure our son had his own private space to play and sleep, so we basically designed the entire house around his bedroom. We added sound barrier insulation into the underside of the loft over his room, closed in the ceiling, and used a wood sliding door to block more light and sound. Eventually we’ll add curtains on the loft end as well. 5. How old is your son? R.A.D is 4 going on 14 these days. He amazes us with his grown-up conversations until he has an epic baby meltdown and needs snuggles. It’s an interesting age for sure! 6. Describe a moment when you felt total contentment in your tiny house. We had a local college student come interview us for her thesis, and we cleaned the house top to bottom for the first time since moving in. Even though we still have so many unfinished projects, seeing the house clean and organized gave us both a great sense of pride. Meg was happy she took a ton of photos before it got messy again which was about 3 days later, of course! 7. 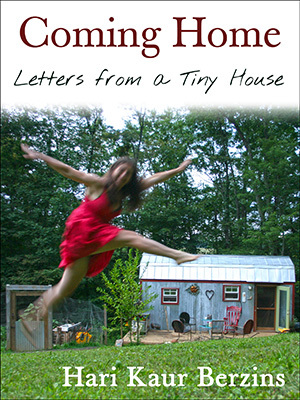 Describe a moment when you felt like you might explode in your tiny house. The first few weeks in our THOW were particularly stressful because the hospital I came to Colorado to work for was delayed in opening which meant extra driving, too much eating out, and not enough sleep. Needless to say, it didn’t take long for the stress to boil over and end in a screaming match. We got it all out and it’s been back fine since then, but the tiny house seemed microscopic that day. 8. When we lived in our tiny house, we had to develop daily routines to keep an orderly home and our sanity (though we lost our sanity often, but that’s another story.) What sanity-saving routines have you developed specific to your tiny house? This is definitely still a work-in-progress for us, and it depends on what we have going on that day. When Meg manages to have a day off while R.A.D is in school, she stays home to sleep in and lets the boys go on their own. We value those days because Meg gets a much-needed day of solitary silence at home, Brand has a whole day to himself away from the house, and the munchkin has a fantastic day at his mixed-age Waldorf farm school. 9. How has your relationship with stuff changed and what techniques can you share to stay on top of clutter? We are quite happy to have offloaded so. much. crap. when we moved out of our Big House, but we do still find ourselves having to resist the urge to buy toys for the kiddo. Meg originally said, “As long as they all fit in his two 18×18″ cubes, I don’t care how much he has.” She changed her mind the day a Lego stabbed her foot and broke the skin. 10. How do you deal with cabin fever—say it’s snowing or raining, and outdoors aren’t an option. We’ve gone to two coffee shops that have kids areas, driven to Wyoming and Estes Park just for the heck of it, and have visited a couple local museums. We still go out when it’s snowing though! 11. This is a cliché question and I was asked it so much it became annoying, so I want to know what you’d say (Ha! ): What do you miss the most? That’s easy: our garden tub! Brand will throw a real computer chair into mix since he has to sit so long to do his online classes. 12. What are your long-term plans? How does your tiny house fit into these plans? Our THOW was never intended to be our permanent house, but then we’ve also never planned to get rid of it. Long term we want to buy multiple acres in Washington state after we travel North America in the tiny house. We want to live in the tiny house while we build a 500 sq. ft-ish Whidby cottage (another Jay Shafer design) and connect it to the THOW parking area with a screened porch. With any luck we’ll convince my dad to come live with us as well! 13. 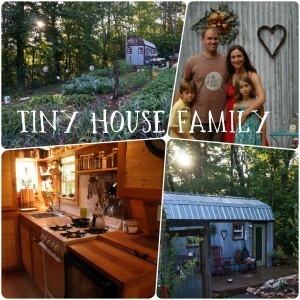 What advice do you have for families considering the move to tiny living? Be realistic with your needs now, and don’t forget to plan for the future. We’ve heard of several young couples who built a THOW and didn’t plan for having kids, and they ended up selling it just a few months later. Also, be honest with your kids about whether or not you intend the tiny house life to be your permanent lifestyle, be willing to be flexible on that answer, and try to involve them in the process as is age appropriate. It was a first priority to us that our son help choose toys to take or donate, and since he’s so young and really had no say in the decision to go tiny, we felt it was our duty to make his space as personal and fun for him as possible. 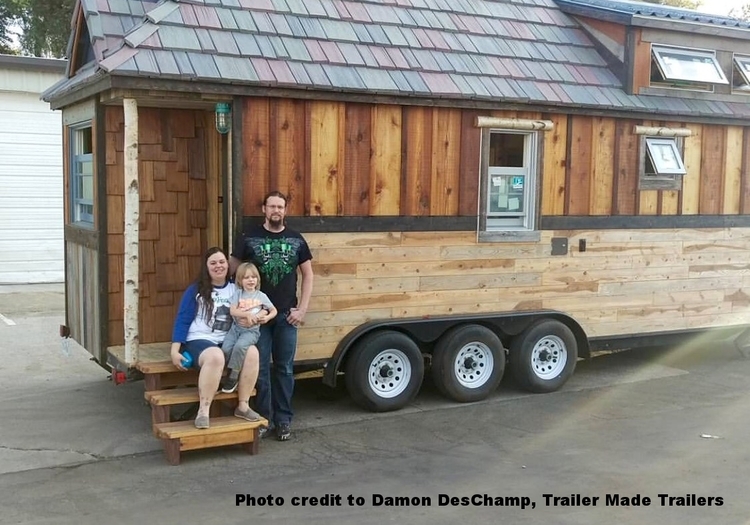 On a more personal note, we suggest if at all possible starting off with as little debt as possible rather than using the theoretically lower overhead of a tiny house lifestyle as your chance to pay stuff off. That was our plan, but there are so many variables at work that can derail even the best laid plans – we know first hand! Obviously, several folks have managed to go tiny and pay debt off in the process, but it’s not a guarantee and folks need to know that. This is great. Love the pictures! Can’t wait to read about more families–why and how they make it work. I am nearing retirement thinking about a tiny home, inspired by the TV show. I am single, love nature and would be happy with my music, books, coffee in the am, a glass of wine in the evening, a comfey chair to drape my body over to read, nap, watch TV, my cat, Sebastian, and of course nature to hike, bike, and kayak in. Are there any tiny home communities and where are they?